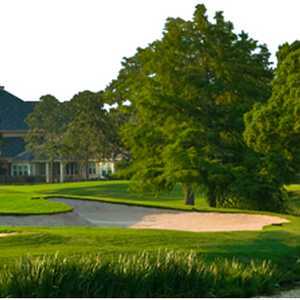 The 18-hole England/Ireland at Magnolia Creek in League City, TX is a private golf course that opened in 2000. England/Ireland at Magnolia Creek measures 7262 yards from the longest tees and has a slope rating of 135 and a 74. 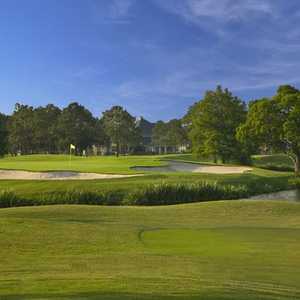 The 18-hole England/Scotland at Magnolia Creek in League City, TX is a private golf course that opened in 2000. England/Scotland at Magnolia Creek measures 7251 yards from the longest tees and has a slope rating of 128 and a 74. The 18-hole Harbour/South at South Shore Harbour Country Club in League City, TX is a resort golf course that opened in 1983. Designed by Dave Marr and Jay Riviere, Harbour/South at South Shore Harbour Country Club measures 6724 yards from the longest tees and has a slope rating of 126 and a 71. 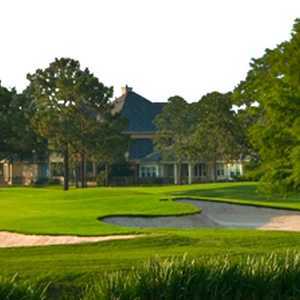 The 18-hole Scotland/Ireland at Magnolia Creek in League City, TX is a private golf course that opened in 2000. Scotland/Ireland at Magnolia Creek measures 7349 yards from the longest tees and has a slope rating of 126 and a 75. The 18-hole Shore/Harbour at South Shore Harbour Country Club in League City, TX is a resort golf course that opened in 1994. Designed by Dave Marr and Jay Riviere, Shore/Harbour at South Shore Harbour Country Club measures 6886 yards from the longest tees and has a slope rating of 123 and a 72. The 18-hole South/Shore at South Shore Harbour Country Club in League City, TX is a resort golf course that opened in 1983. Designed by Dave Marr and Jay Riviere, South/Shore at South Shore Harbour Country Club measures 6882 yards from the longest tees and has a slope rating of 128 and a 73 USGA rating.